I purchased my Bronco in June of 2013 and proceeded to replace / upgrade almost every component on the truck. 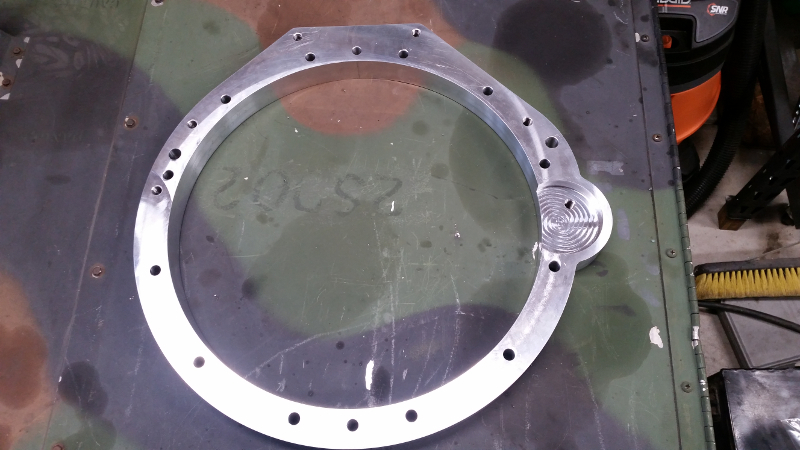 Lots of custom design and fabrication. For every hour I spent working on the truck, I probably had 3-4 hours of research and CAD time. I lost track, but I have around 400 hrs into the CAD model alone. 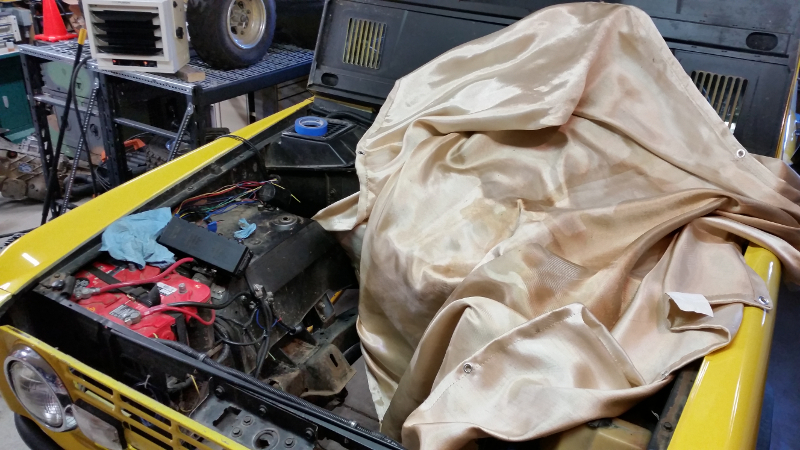 I touched everything, frame, suspension, axles, cage, interior, exterior, etc. 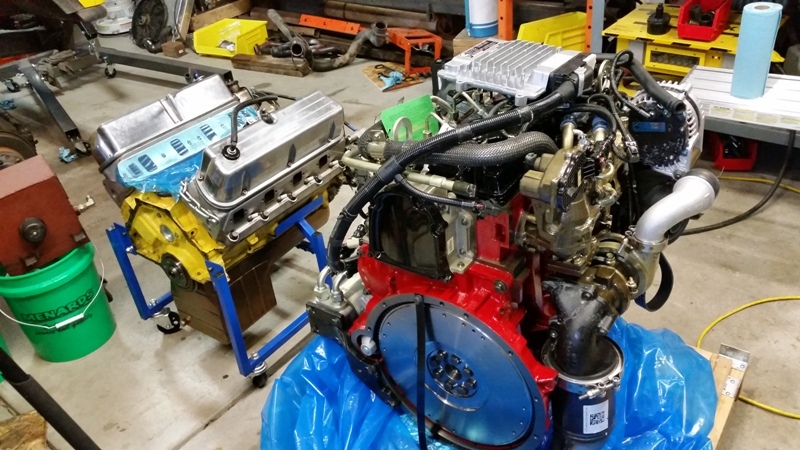 Engine: (was) Ford 351W, mild build, heads, rotating gear, intake, exhaust, EFI, etc. 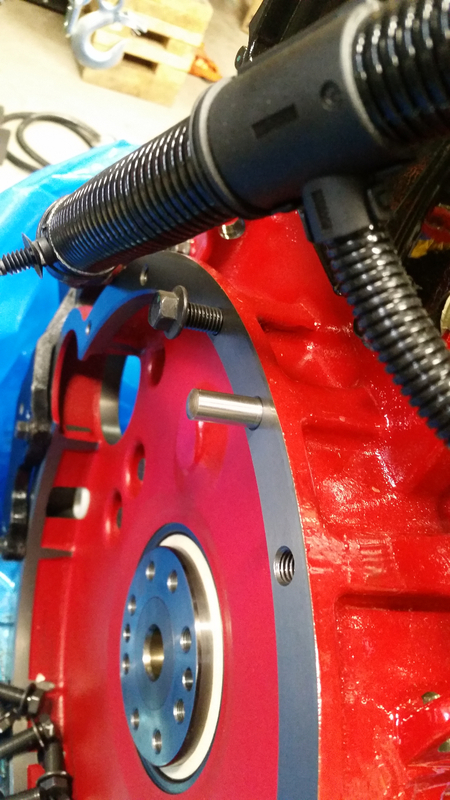 Suspension: Coiled and linked, Frequency-tuned front and rear. Bilstein 7100s. Joints are of my own design. My goals for this project were to create a versitile vehicle that I can daily drive, 4-wheel / explore, and use for towing on occasion, all while being comfortable (relatively), safe and modern feeling. 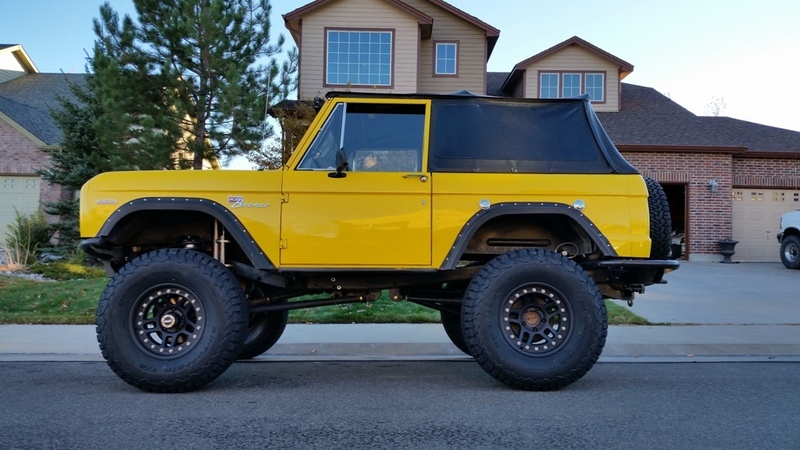 Now a Bronco will never be "modern" but I can improve things like handling, ride quality, etc. Wind and engine noise will always be a compromise, but I like the ruggedness of this truck and it's a blast to cruise doors-off in the spring and summer. Last edited by Digger; 01-21-2019, 06:38 PM. It arrived promptly and I got to work reading the install manual, taking notes, more research and a bit of CAD time. 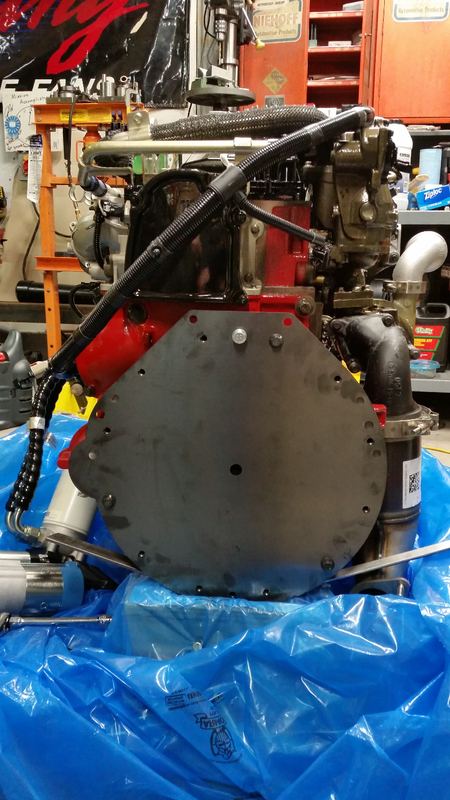 This past weekend the old engine came out. Wow that's going to be awesome. Heck it was pretty awesome even before the R2.8. I didn't know the Atlas II was over 5.0:1. Also are there any issues you notice with it on long drives or any time? Also how are you liking the 7100s? I've never done anything but replace broken shocks, but now that I've been able to do highway speeds I'm very close to trying to get my ride quality and safety increased. 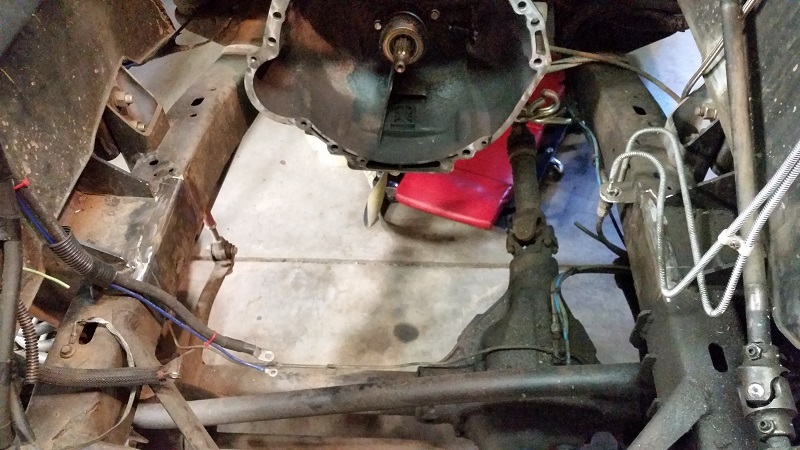 First order is that I need brakes that stop the vehicle in a timely manner (on order) and next I think having a sway bar in the front will improve my stability a bit. But high on the list are springs and shocks. Nice CAD work. That's crazy all that you added in there. 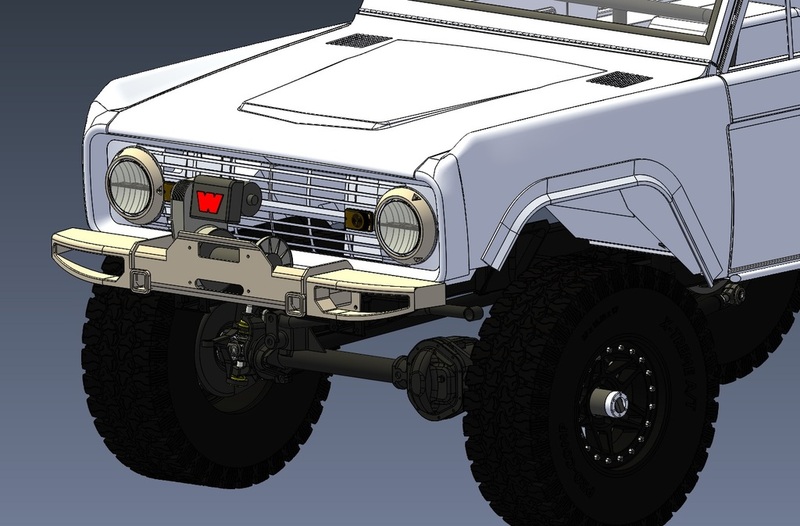 I drew up a custom tire/cargo carrier 1 time as I was trying to incorporate some more space in the TJ and I've never seen quite what I wanted in the cage style tire carriers and it took a lot of time to do even though I have to model designs fairly often for work. AA don't make the 6:1 anymore. I bought mine in 2007. 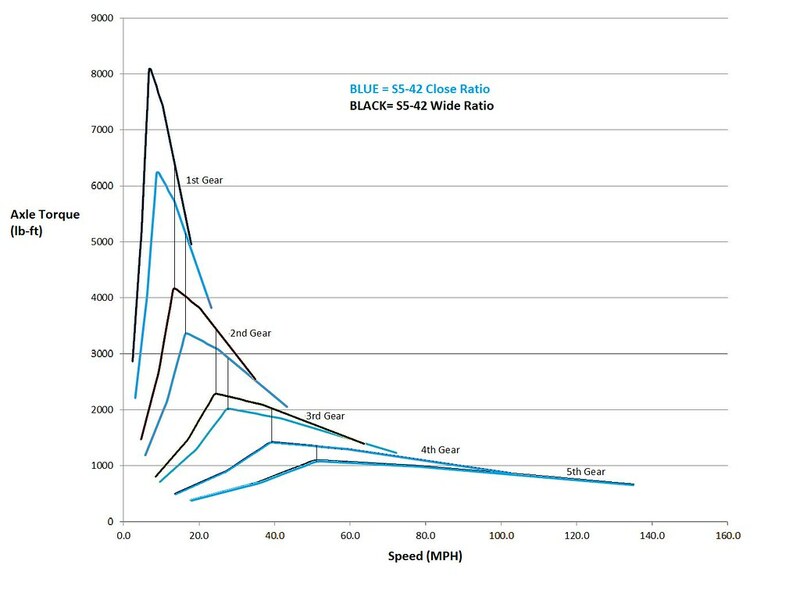 They made some changes to the case design and now 5:1 is as low as the 2-speed goes. No issues with long drives. The Atlas has 120,000 miles on it and in 2016 I drove from Denver to Knoxville and back for a Bronco gathering (4000 miles round trip) and had zero issues. It's been great, a very reliable t-case. The 7100s are really nice. I need to finish tuning the fronts after I get a new bumper and winch one. They need more low-speed damping. 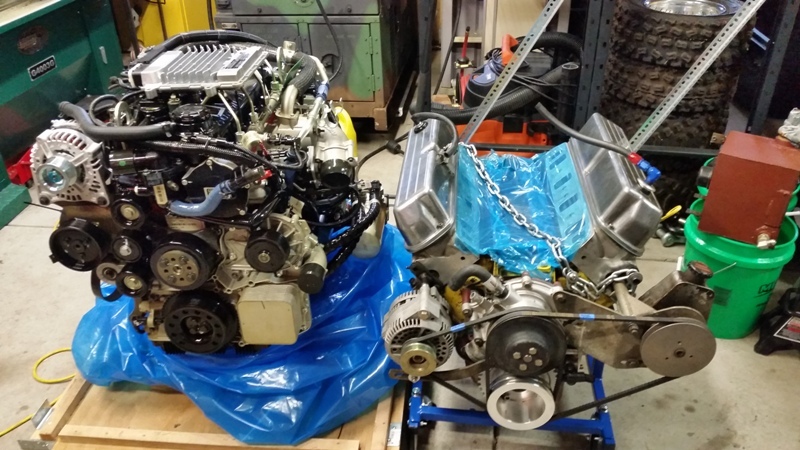 I've been getting a lot of comments from other forums regarding the size of the 5.8 vs 2.8, so I threw the intake back on and reshot the two side-by-side. Using MS Paint to bring crank centers level with each other and add a few lines of measure, the two don't look drastically different. Nice comparison. I never compared my R2.8 to the 4.0. I never even thought about it, but a buddy noticed the R2.8 did sit up higher than the 4.0 and I did measure some at that point. There were just some subtleties I didn't notice until after the installation I know the length was quite a bit different, but the width from the R2.8 was definitely noticeable with the Turbo and DOC and all of that stuff. Were you going to go with AC? I know it's an issue for a lot of people. Not with this build. 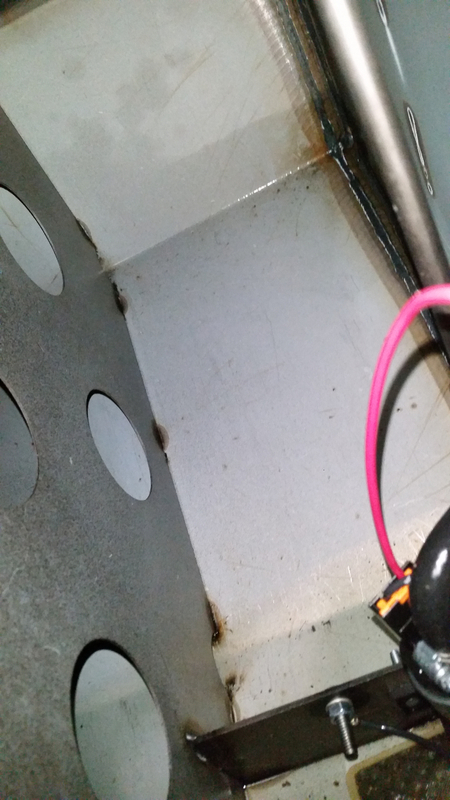 I don't use A/C most of the time, however at some point may use the A/C compressor position for an air compressor. What kind of issues are people having? 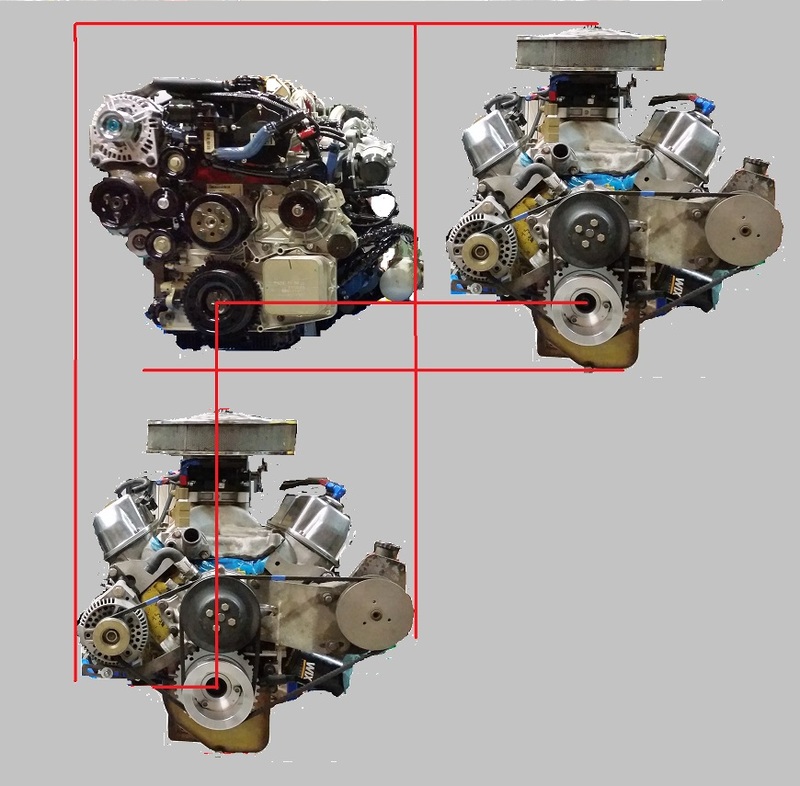 The main issue is width of the engine assembly. 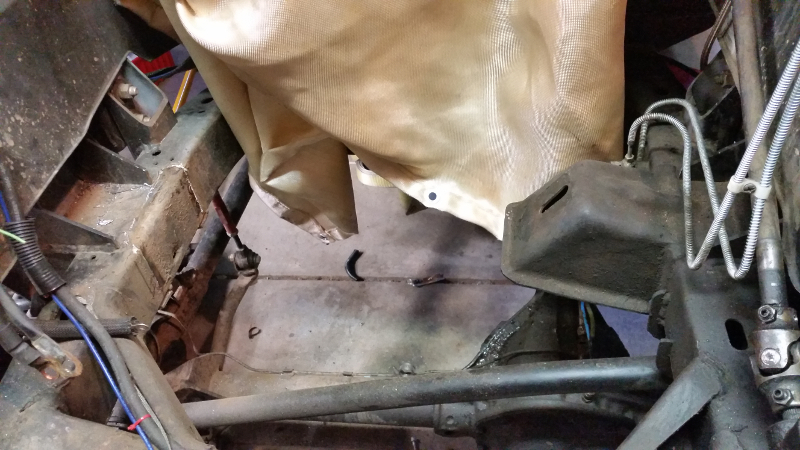 Especially on older and maybe newer Jeeps, the frame is just too narrow to work with the factory compressor position on the Cummins. 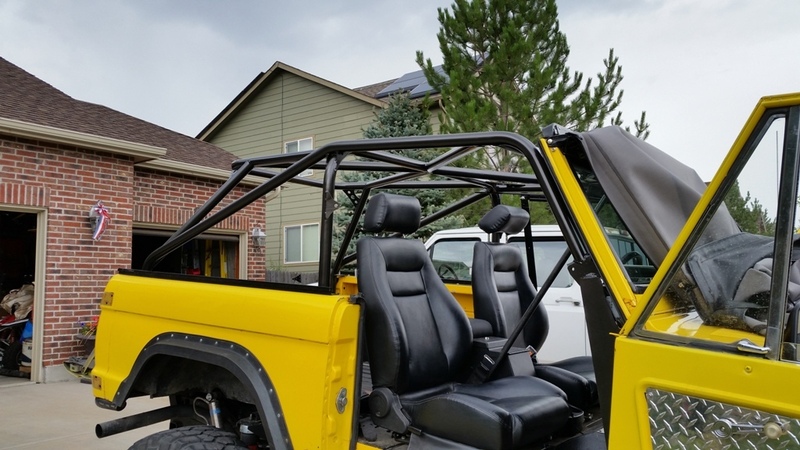 I like my doors off as much as possible and I'm thinking of getting a 2 piece hard top and that basically negates the need for AC, which I seldom use as well. 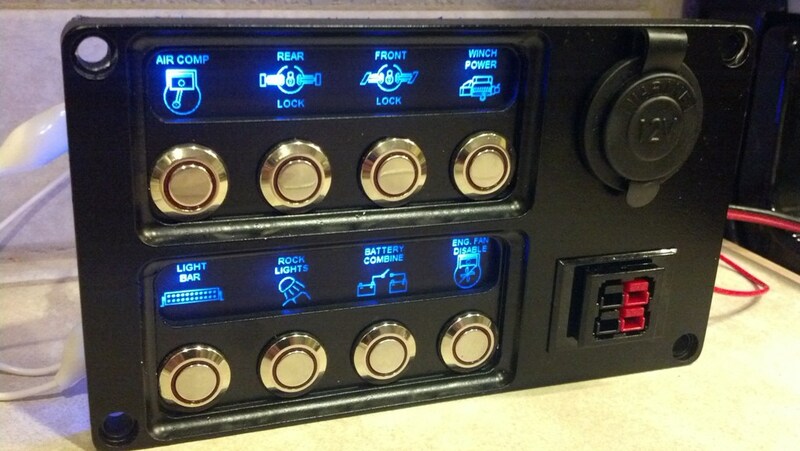 I figure I'll fix my truck HVAC system one day and that will give me the option during the summer if I want it. I think for my setup, without doing a lot of custom stuff myself it was going to be $3k or so to add. I'd rather have an Atlas 2 or something for that. A quick update. 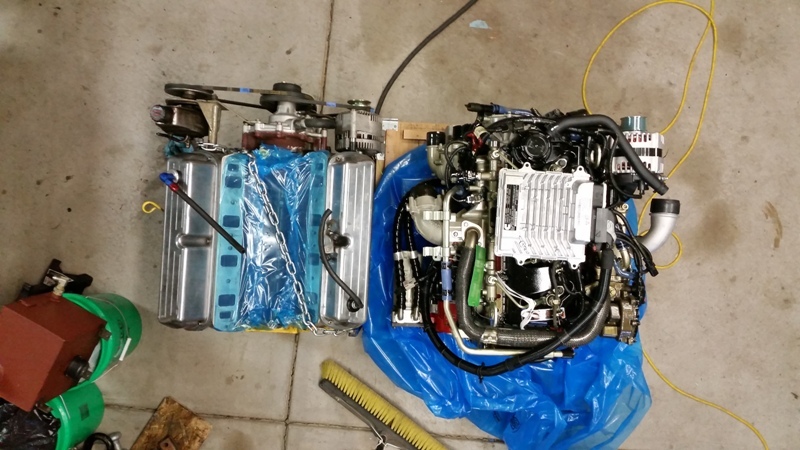 I created a calculator to compare the Wide vs Close ratios versions of the ZF5 and didn't see anything alarming for the R2.8's power band vs how I drive and tow. I spent a bunch of time measuring and CAD modeling to come up with an adapter solution. Now it's a matter of a few test fits to confirm dimensions and finding some time at the machine shop to get the parts cut. This adapter has consumed a lot of time in order to get it correct the first time. I felt the dimensions for the Cummins side of the adapter were pretty solid, but the dimensions for the Windsor block side of the adapter came mostly from the internet and we all know how reliable the internet is. 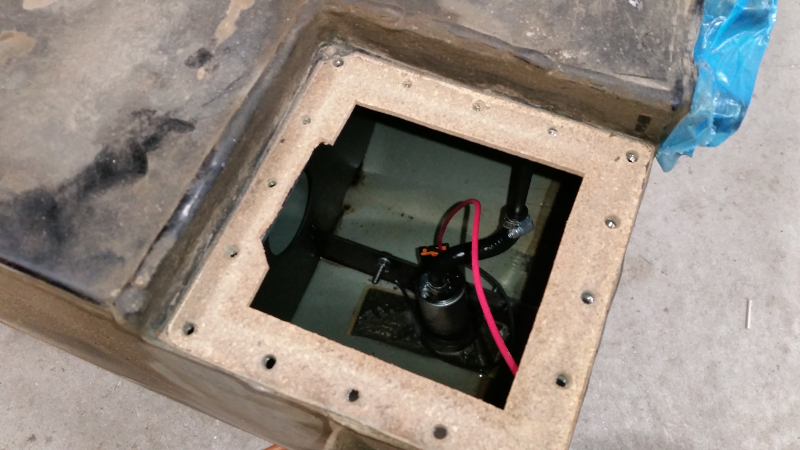 Particularly, one dimension for the transmission bolt hole was different depending on the source. I needed to verify hole positions as best as possible before proceeding. 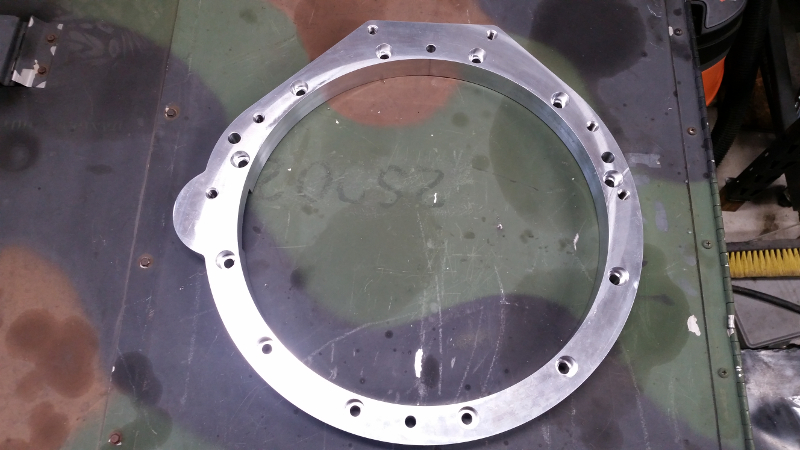 I created a sheet metal part that contained all the holes from both sides of the adapter plus a pilot hole to align the input shaft to and had it cut out at work. 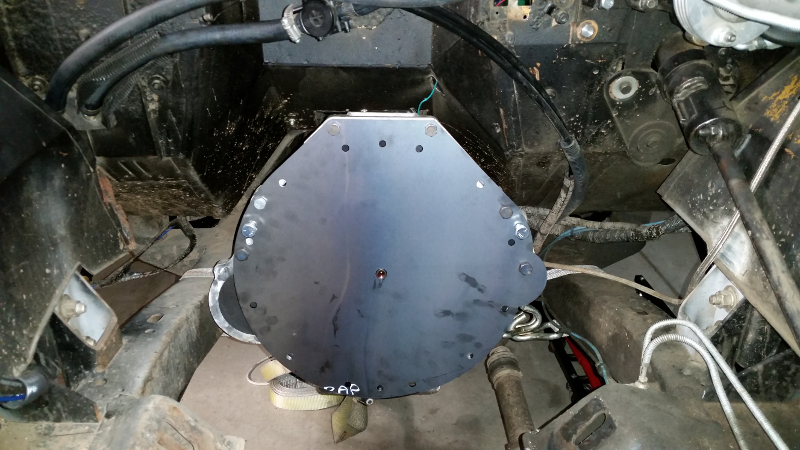 I fit it to both ZF5s and the R2.8 and confirmed holes at least looked correct. 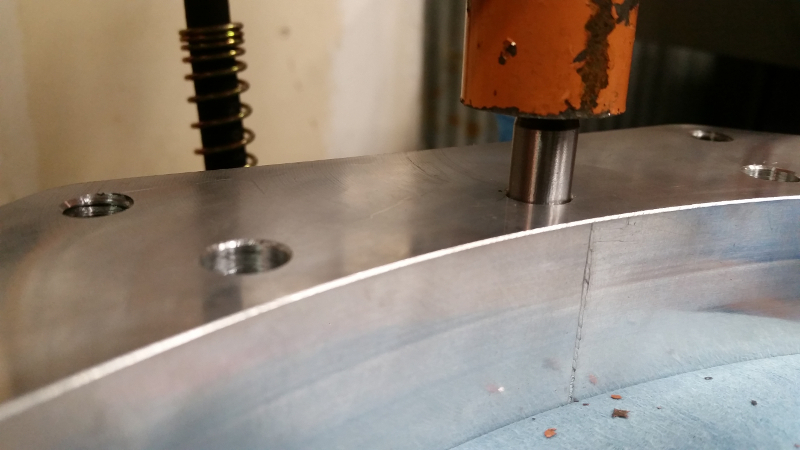 Several holes have spacing that needs to be accurate to within a thousandth of an inch or so, which is hard to verify accurately. 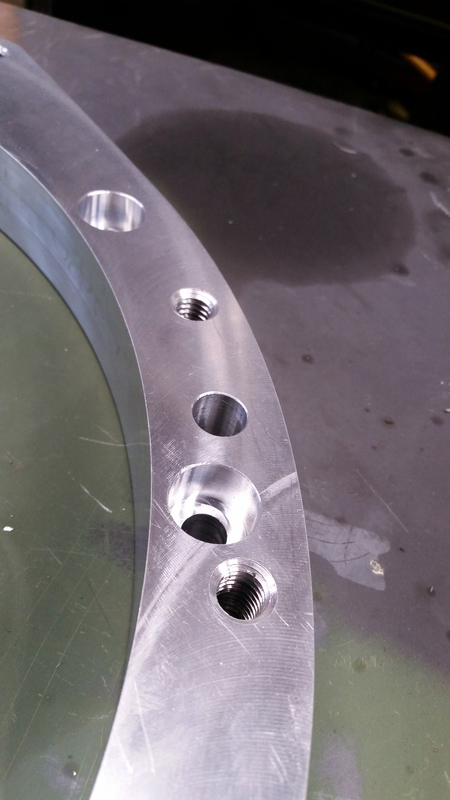 The other holes could be +/- 0.10". The mounting hole in question looks well centered based on the dimension I assumed was correct, but there is enough slop in this hole it likely doesn't matter. 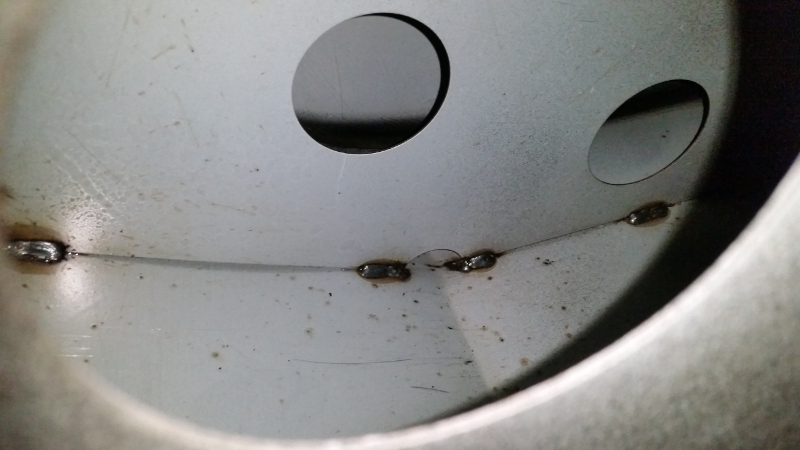 While waiting on a few items, I dropped the gas tank to see what the inside was coated with. 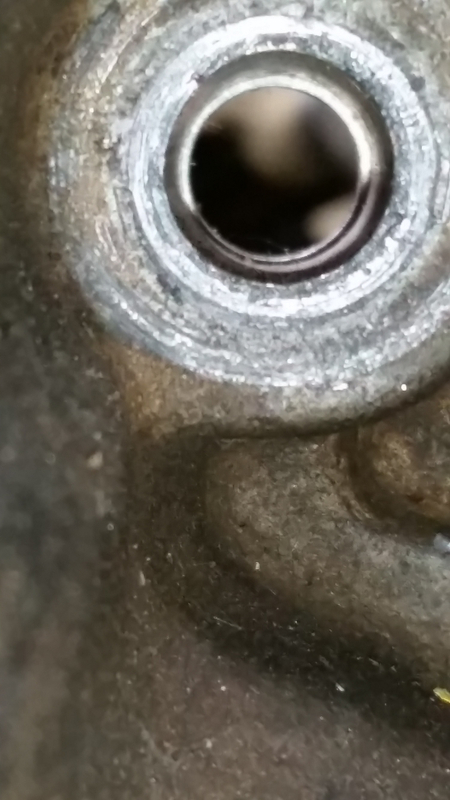 Diesel apparently dissolves zinc finishes and redeposits them in the engine. Not good. Unfortunately there is some type of coating on the inside that looks very zinc-like. I will have to clean and seal the inside of this tank before proceeding. I found some other things I didn't like after removing the access cover. 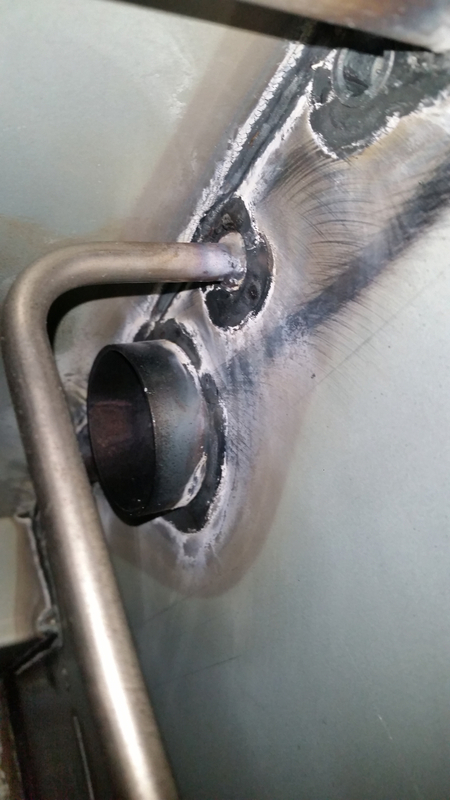 There was left over parts from assembly and weld slag floating around the bottom of the tank. Additionally the feed line is undersized and the return just shoots out the top of the tank, which can aerate the fuel. I will have to address these things as well. Looks like pre-plated sheet metal. 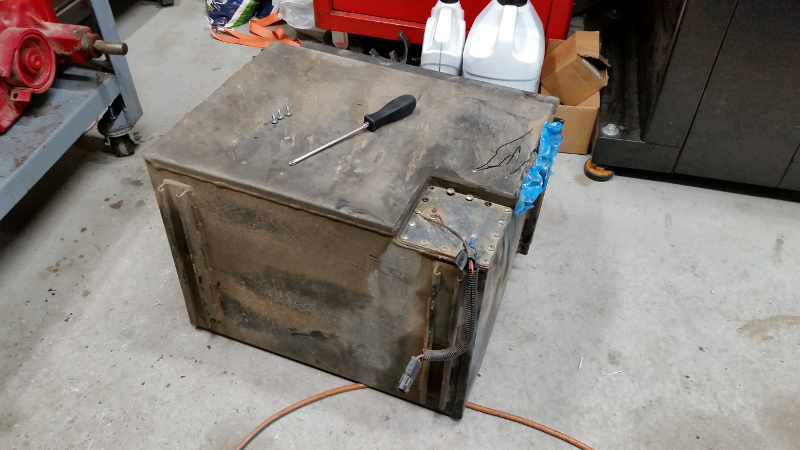 Note the return line is just a fitting welded to the side of the tank. 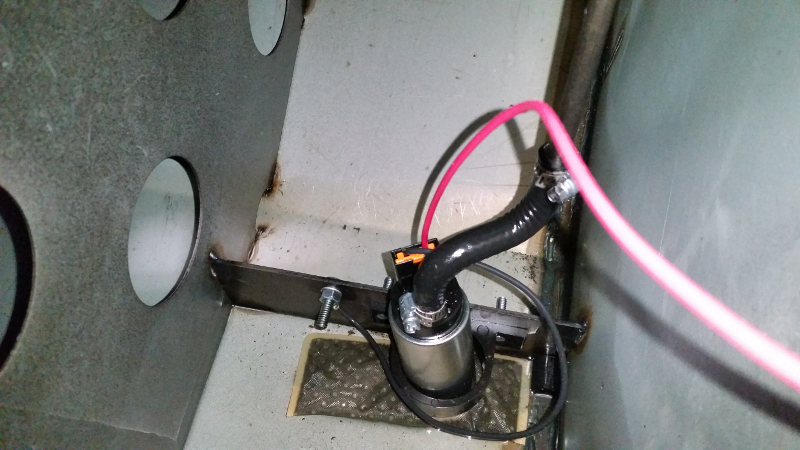 Since the fuel system is getting rearranged, I will have to run new hard lines. Wanting to do things a little nicer than last time, I'm upgrading to stainless for brakes and fuel. 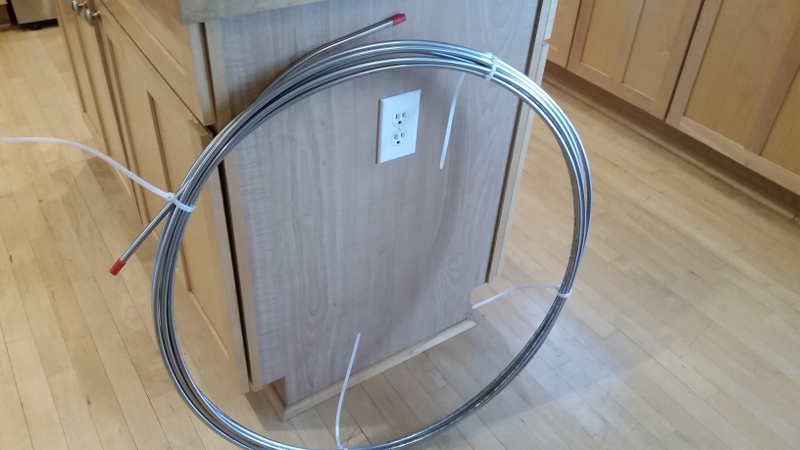 I decided to order a roll of tubing instead of straight pieces to eliminate any fittings along the frame rail. This tube straightener is much bigger than I thought. 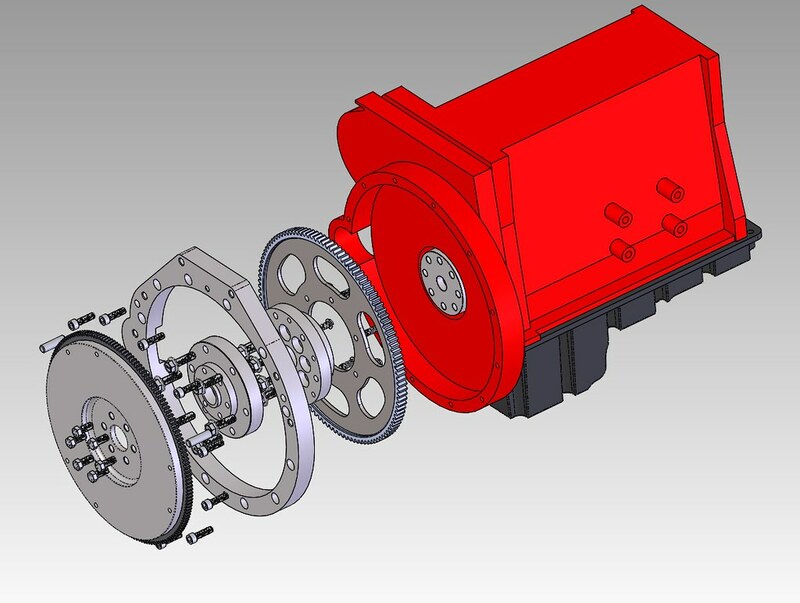 After some additional CAD modelling, it became clear the stock engine mounts will not work. 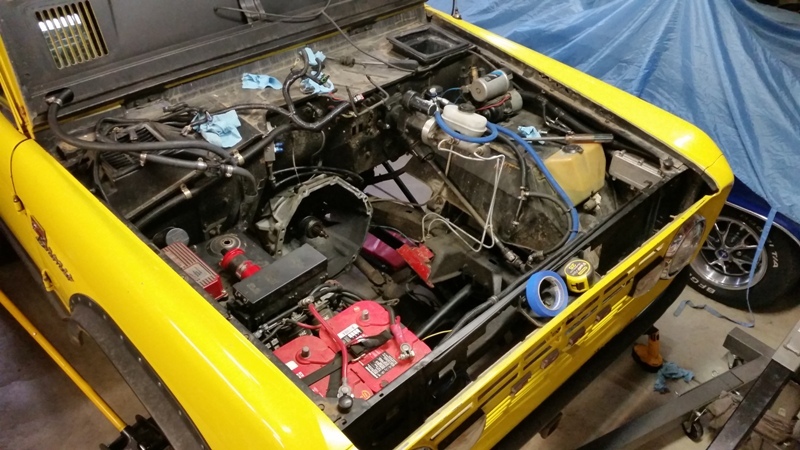 They are too far rearward in the engine bay. 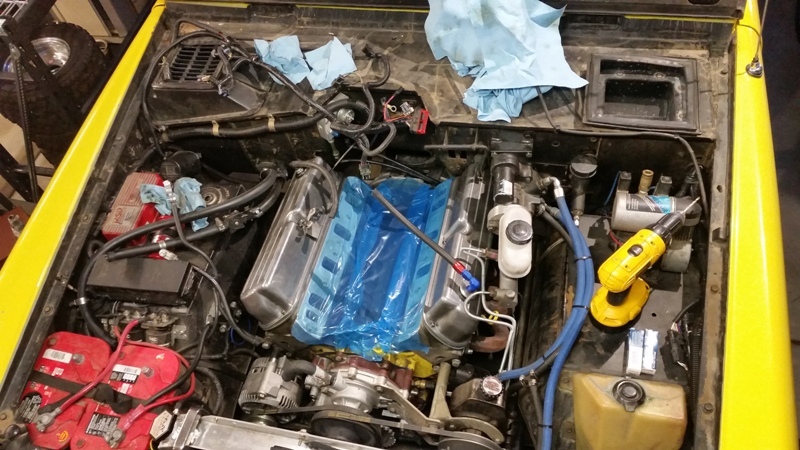 I could get the engine mounted but the stock mounts prevent the Cummins starter from being removed without pulling the engine. So those have to go. 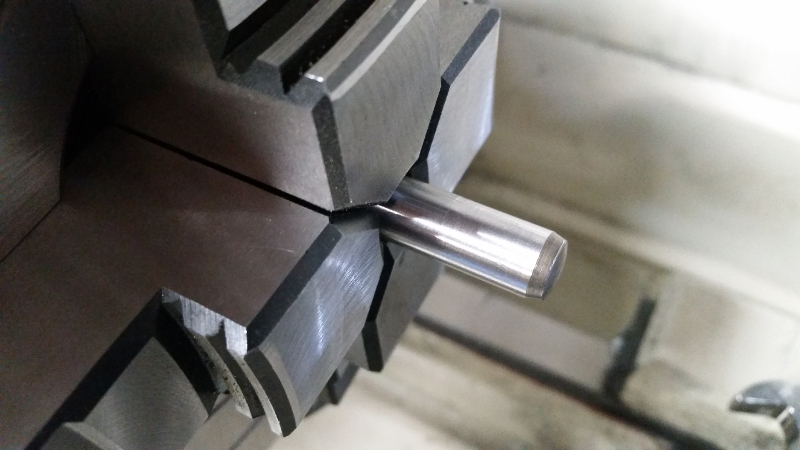 I spoke with our manufacturing engineer at work in order to get a recommendation on a machine shop. 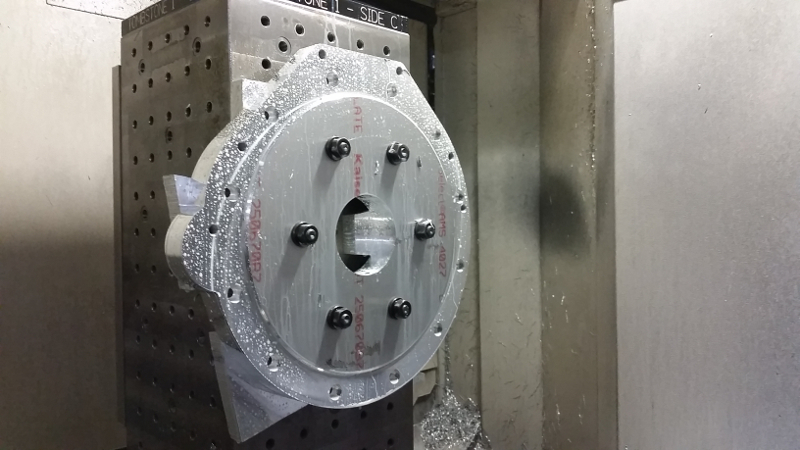 (our shop is busy most of the time) He looked at my project and thought we could fit it into the schedule, so we had some back and forth discussing how to produce my bell housing adapter, what machine should run it, who would program it and what was critical. 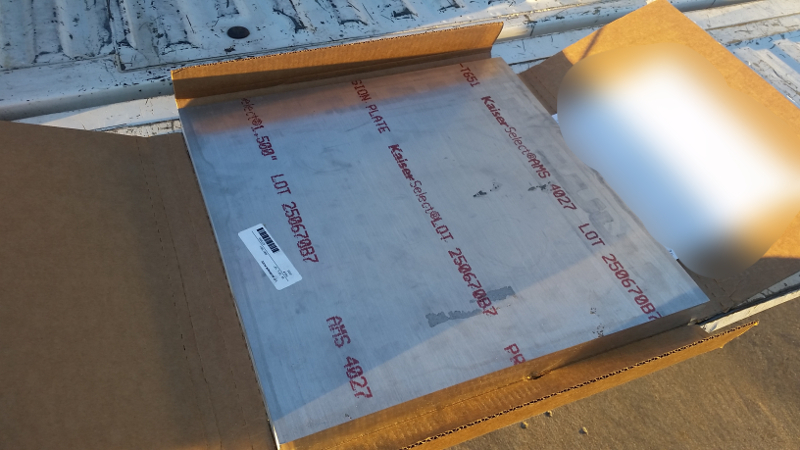 I went ahead and purchased the raw material, a 50lb slab of 6061-T651 aluminum plate that measured 18"x18"x1.5"
After about 4 weeks, it was time to run my part. The guys really did a great job. 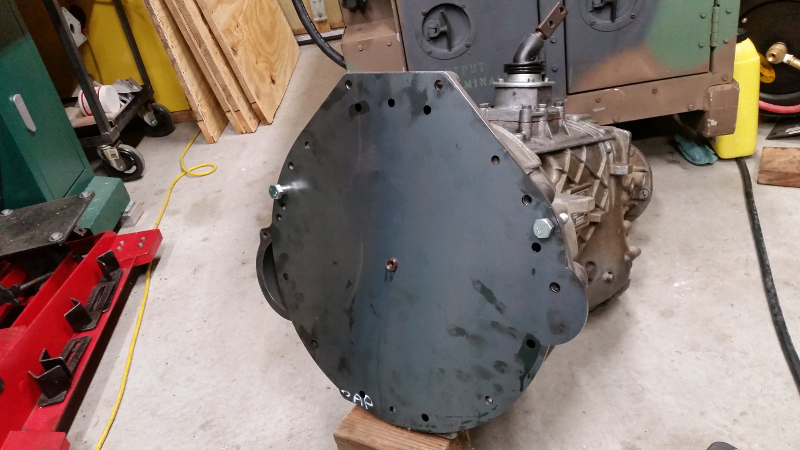 It was run in a horizontal mill with a pallet changer and a 35HP spindle. It made short work of my plate. The final product is beautiful and dead accurate. 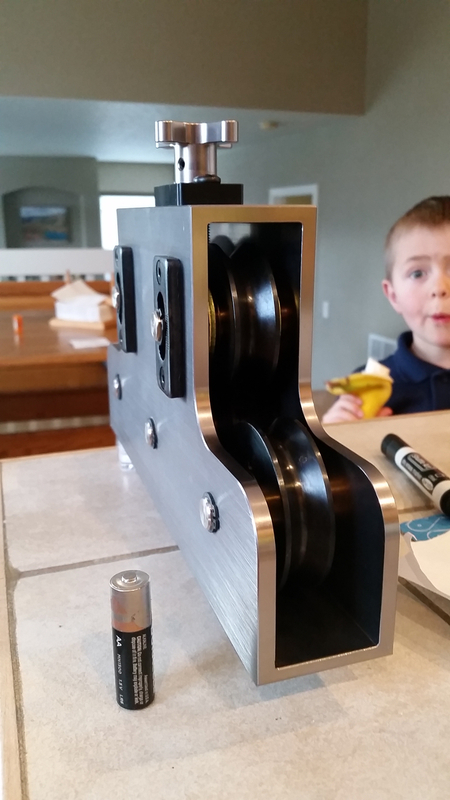 The guys CMMd the part and the critical dowel pins holes were all within 0.0002" of their nominal positions. The dowel holes were reamed, so press fit will be very precise. Last edited by Digger; 03-31-2019, 11:07 PM. 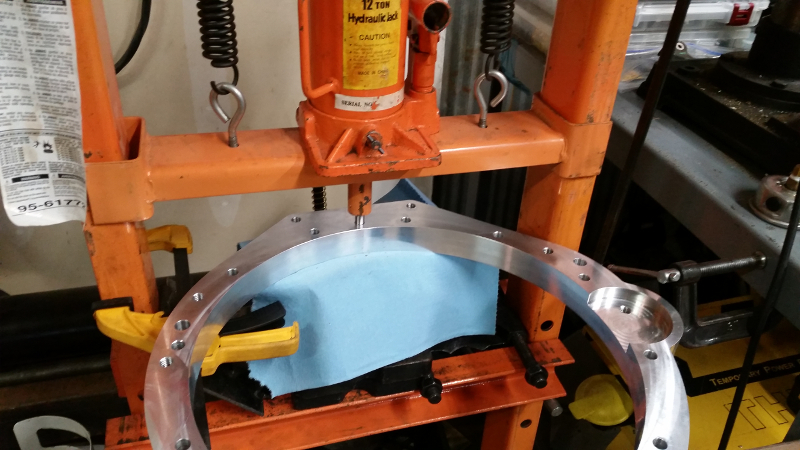 With the bellhousing adapter finished, I needed turn the 10mm dowel pins down slightly. Given that the holes in the engine were reamed, I didn't have the right measuring tool to accurately measure the ID to 0.0001". So I ordered standard +tolerance dowel pins and test fit them. They almost wanted to go, but not quite. Because the dowels locate the engine to adapter to transmission, I couldn't just chuck them in the 3-jaw and turn them with cutting tools. I needed something more precise. Generally when you're working under 0.001", you need to grind, not cut, so I rigged up a makeshift tool post grinder with a Dremel tool. 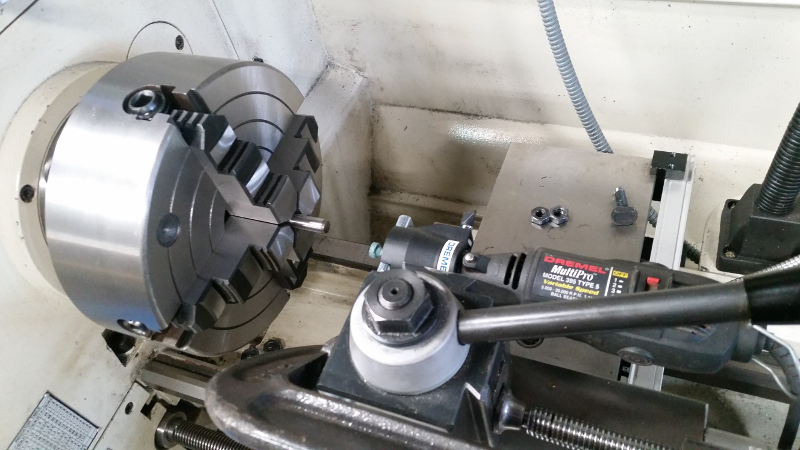 I also loaded the 4-jaw chuck and dialed the dowel pin to the lathe so there was less than 0.0001" runout. 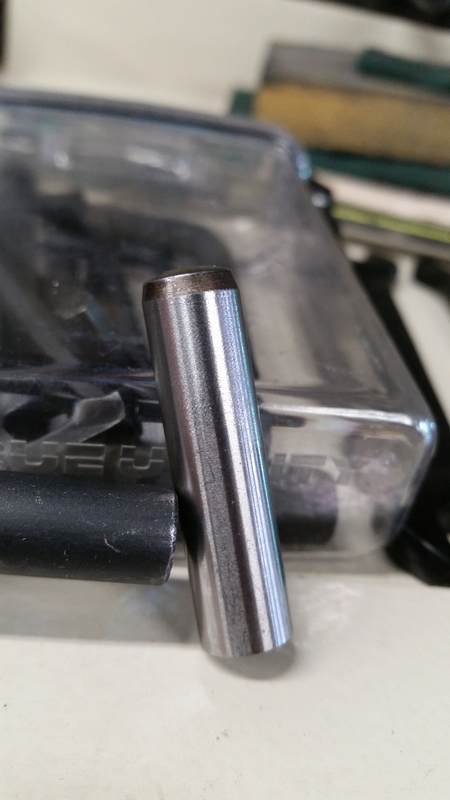 I ended up taking off 0.0004" over 4 passes of the grinder. You can barely tell anything was done, but the upper 14mm of the dowel is a smaller OD. Now the pins slides in easy, but is still tight enough to seal the air behind it. After grinding a lead-in chamfer, I pressed all 4 dowels into place.